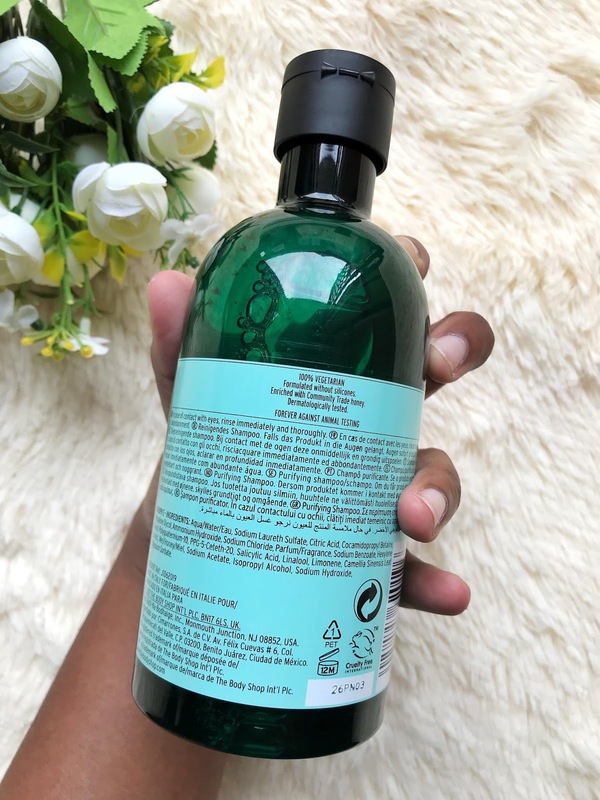 If you have been following my blog for a long time, you might know that I used to use Ginger Shampoo from the body shop, REVIEW IS HERE. However, recently I get attracted to this Fuji Green Tea Shampoo while I was in the body shop store. I have heard a lot of good things regarding green tea in general. I thought why not give a try this new shampoo that body shop came up with. Honestly, I love it. Let's talk from the packaging. Well, the packaging is small, compact and also very easy for travelling. I loved it. I only need a pea-sized amount of shampoo for me to lather up. Therefore, you going to save a lot of money in the near future. This bottle lasts me about more than a month and till now I just used half of the bottle. Well, is this shampoo works? Does this shampoo cause any allergic reactions? This shampoo meant for purifying. It helps in detoxing or deep cleansing your hair and remove dirt and excess build up on your scalp. I usually use this shampoo with Kerasys oil controlling shampoo and occasionally Selsun Blue ( green bottle ). 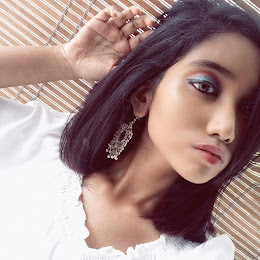 These combinations help my hair to be fluffy and airy. 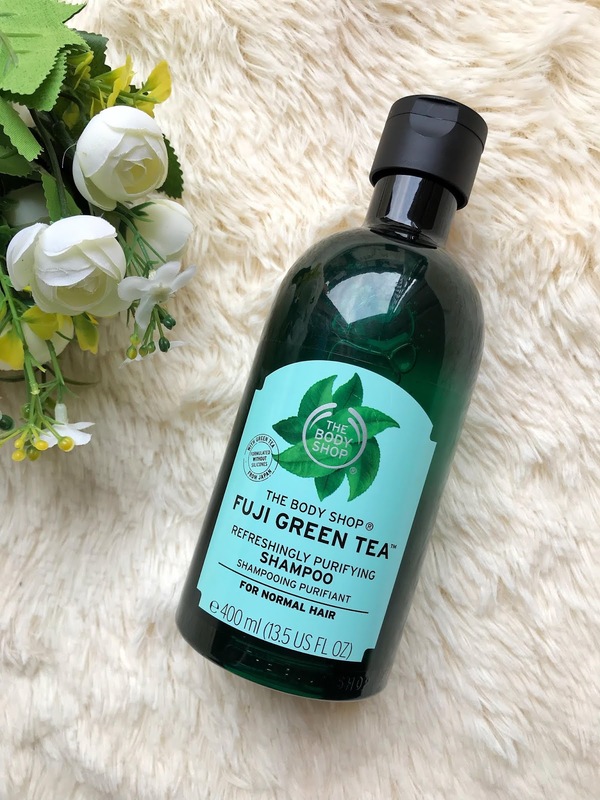 Before I use this body shop fuji green tea shampoo, I always felt my hair weighs down and greasy. This shampoo doesn't cause any sort of allergic reaction on me. Will I repurchase this shampoo? Yes, I will. Would I recommend? : Yes ! Thank you love for being with me for a while. I don't think this shampoo will be helpful for dry scalp you can dry ginger shampoo from Body Shop. This shampoo is more for normal to oily scalp. Hope this piece of info help you. at cheap price but it didn't effect on my head.